I upgraded to the Samsung Galaxy S6 a few weeks ago (from the S5) mainly because I really liked the slicker style of the phone, compared to the plastic and cheap feeling S6. The phone is definitely well made, has a wonderful camera and some cool features (I particularly enjoy the wireless charging), however there has been a major issue that makes the phone nearly unusable. I find that my phone is constantly getting an incredibly weak signal in places where I previously had a strong LTE signal. At random times my phone will go from LTE to 4G, to E and to no signal at all in a matter of seconds. Once this happens I’ll have zero signal for a very long time (as long as an hour!). I try turning on airplane mode and turning it back off and at times my phone will try to get a 4G signal but even if it says 4G or LTE I still can’t connect to the internet or send messages. I’ve tried restarting my phone, and again I still don’t regain a signal. Yesterday I even tried a factory reset (against better judgement as getting my phone back up and running was a pain, especially since it made me factory reset my Gear S watch as well) and it didn’t help at all. I’ve found reports of many other users experiencing the same issue across all of the major carriers, so I know this isn’t just an AT&T issue. I’ve also read that many have contacted customer support and haven’t really been helped, though some report being told it’s an issue on Samsung’s end that could be fixed with an update (let’s hope that’s true!). I haven’t contacted customer service yet myself, but if this persists I’m definitely going to give them a call this week to see what’s going on. Have you experienced these issues on the Galaxy S6? Have you found any way of fixing it? So when I’m looking to check out a new place to eat (or shop / drink etc.) the first place I usually check is Yelp. It’s incredibly useful to read other people’s reviews and to discover whether people tend to react positively or negatively to a business. One such business I wanted to check out was The Counter, in Meridian. I had heard they have some pretty tasty burgers, however Yelp seems to tell a different story. The business has a 2.5 star rating after 54 reviews, so wasn’t off to a good start in the first place. However, the business owner’s response to one review in particular really rubbed me the wrong way. The tone of the business owner in this response does not come across as professional at all. Upon reading this response I decided I would not even give The Counter an opportunity to disprove its overwhelmingly negative reputation on Yelp. The owner also copy and pasted a rebuttal to several negative reviews, which comes across an impersonal attempt to save face. 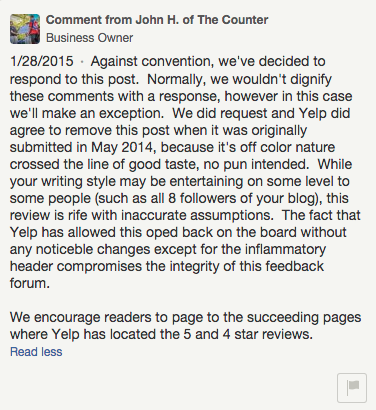 So congratulations John H. of The Counter, you have succeeded in making me not want to frequent your restaurant. Heck, based off the Yelp reviews alone I probably still would’ve given the place a shot, but now I’ll never set foot in the place. This past weekend Vanessa and I checked out few great Boise food destinations that we had often heard about but never got around to going to. On Sunday we rode our bikes downtown to have brunch at Fork and it was well worth it. First of all the Sunday morning ride was pleasant and we were able to get nice outdoor seats right as we arrived. It was nice enjoying breakfast downtown and I think weekend brunch at Fork is going to become something of a tradition for us. The coffee and food were great, I enjoyed Market Breakfast (over hard) and Vanessa had the Fork Benny and both were delicious! I highly recommend having brunch at Fork if you ever have a late start to your day on the weekend. 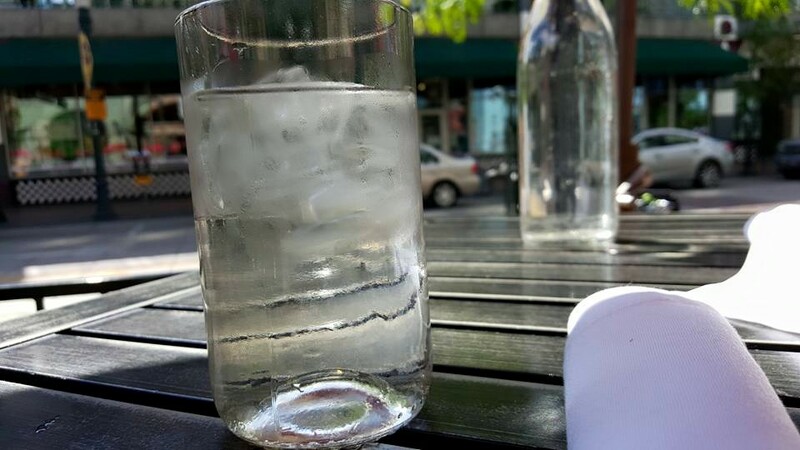 On Monday morning we rode over to Hyde Park in the Northend to check out Java Hyde Park. We usually just end up going to Starbucks, but we decided to try something new for our morning coffee. The ride was pleasant and we were excited to get some coffee and baked goods. The first thing we noticed was just how packed the place was. All of the outside seating was occupied and the line was out the door and down the stairs! I’m not sure if it’s always that packed or if the holiday had something to do with it. Either way it was worth the wait! 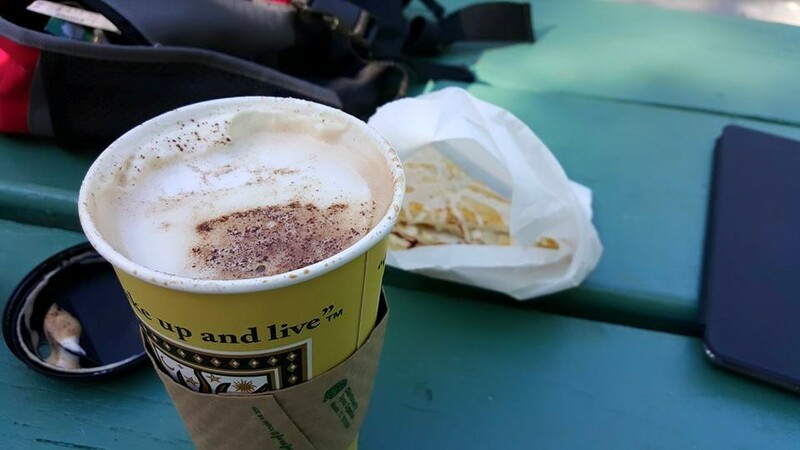 I got the Bowl of Soul mocha and a cherry turnover and we walked up to Camelsback park to enjoy our coffees. I highly recommend picking up a coffee from Java Hyde Park and walking around the area as you enjoy it. The Northend is a really neat area of Boise and I highly recommend hiking the trails in Camelsback Park as well! I was, like most people, incredibly excited when Dragon Age: Inquisition was released last Fall. As much as I enjoyed it, however, I never got around to finishing it. After awhile the whole idea of having to grind boring missions to get enough ‘Power’ to advance to story started to get on my nerves. Before too long I stopped playing Dragon Age altogether, after getting something like two-thirds through the game. Now that I’ve been playing The Witcher 3 I started to wonder if I should dive back into Dragon Age again, especially while waiting for the save game glitch to be fixed. Last night I decided to do just that, and give Dragon Age another try. It didn’t take long to realize why I stopped playing in the first place. I needed 30 Power to advance the story, and I had 10. Therefore I just picked a random place and started running around the map knocking out missions, closing rifts, etc. I spent an hour just grinding through points on the map with hardly any dialogue or anything to keep me interested in the story. One mission was particularly annoying. 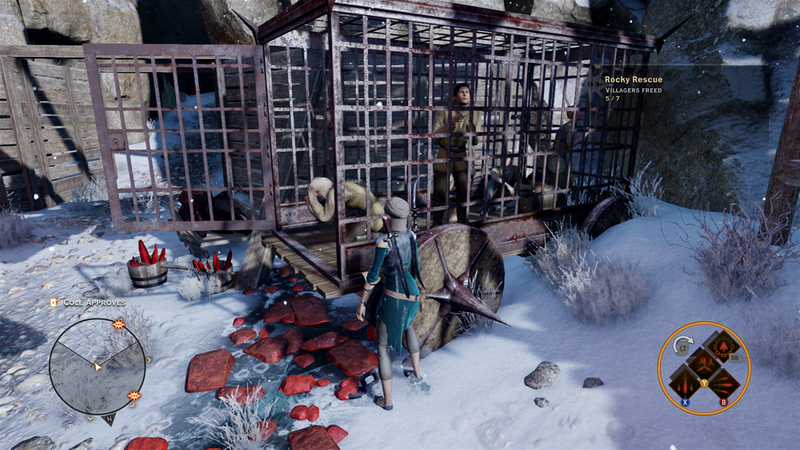 Rocky Rescue in Emprise du Lion completely crushed any desire I had to continue playing Dragon Age. In the mission you have to run around a quarry fighting Red Templars and freeing imprisoned villagers. The problem is there’s a small cutscene that plays every time you have your rogue open a prison cell. It takes at least five seconds with a fade to black before you’re given control of your character again. Having to sit through this seven times was excrutiating. It took about twenty minutes, if not longer, to complete this mission which grants you only 2 Power (or 4 considering you’re likely to complete ‘Red Captors’ in the process) which means I still needed 16 Power to advance the story. During my time in Emprise du Lion I managed to net 10 Power while spending about an hour to and hour and a half running around the world completing random, hardly exciting tasks. My time with The Witcher 3 so far has been much more enjoyable. 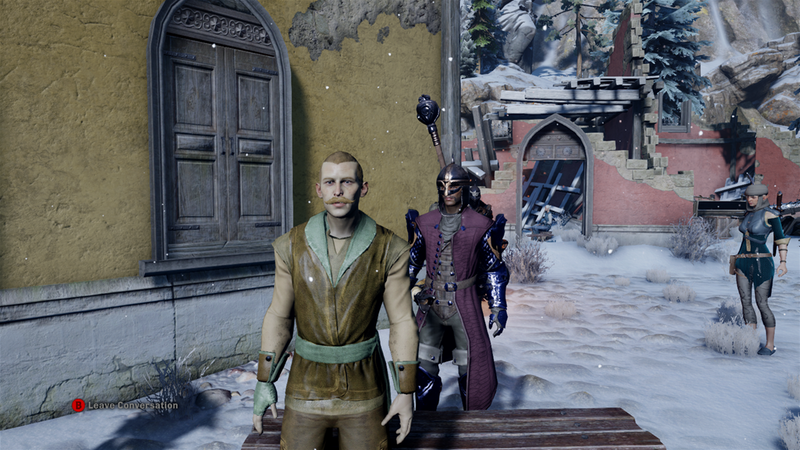 The open world is more captivating than Dragon Age’s, and most of the side missions so far have been much more enjoyable, featuring unique characters and dialogue throughout. The combat is also much more enjoyable, and all in all Dragon Age feels more like a lonely MMORPG where you hold down RT and grind pointless quests while The Witcher feels like a refined, epic RPG that promises to be enjoyable for hours to come. 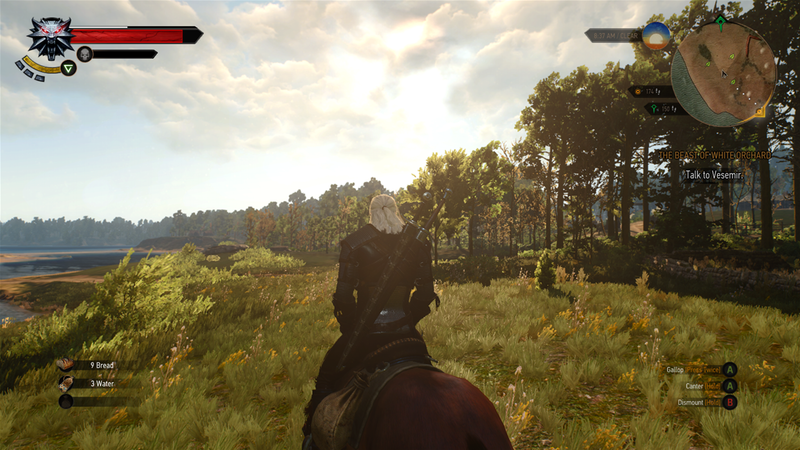 I’m looking forward to seeing where else The Witcher 3 will take me. It’s been a beautiful experience so far! If you haven’t heard, those playing The Witcher 3 on the Xbox One have been susceptible to a nasty glitch that can make your saved game unusable. If you fall victim to the glitch you can no longer save your game and will have to start over from the start (or possibly a previous save, though you’ll still likely lose hours of progress). It seems the glitch is caused by putting the game into suspend mode and then trying to resume it later. I use suspend mode all the time, and it’s incredibly convenient. Luckily I hadn’t used the feature before I found out about this glitch yesterday. Since then I’ve been playing scared. I feel like I’m constantly looking over my shoulder, just waiting for the game to screw me over. So far I’ve managed to avoid running into the glitch, and hopefully I stay safe until it’s patched. When I finish playing I save the game and then quit to the menu of the game. From there I hit the home button and then manually close The Witcher 3 (select it, press start and select quit). I’ve also been keeping multiple save files, though I do that with most RPGs anyway. Hopefully this process keeps my save files safe until the bug is fixed! Have you been hit with the glitch? Are you avoiding playing until it’s fixed? Why is The Witcher 3’s text so small? 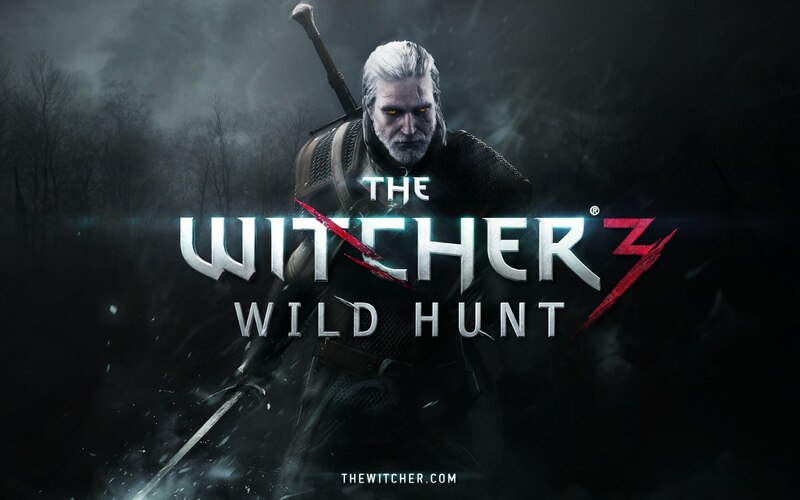 So I just started playing The Witcher 3 this morning (on the Xbox One) and one thing is really bugging me. The text is so darn small I can barely read anything from the couch without having to lean forward. Not a good design choice at all. It might be acceptable on a PC where you’re close to the screen, but the text in The Witcher 3 is way too small for consoles (on a 47 inch TV). Is the small text size bugging you too? I feel like I’ve missed so much information already because I really haven’t felt like squinting to read the text. Hopefully it’ll be patched soon! 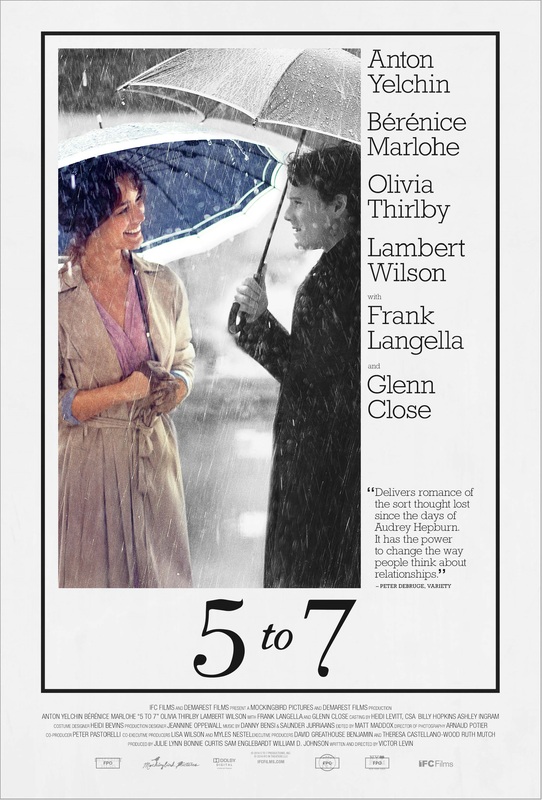 Saw ‘5 to 7’ this weekend and it was wonderful! This weekend I wanted to do something different. Although I really wanted to see Mad Max and Pitch Perfect 2, I instead decided we would go to The Flicks in Boise, which is a theater that specializes in “independent, foreign and art films” (as described on their website). I watched trailers for the movies that were showing this weekend and immediately fell in love with the trailer for 5 to 7 . The film lived up to the trailer wonderfully. It was a beautifully told story in which just about every scene is shot wonderfully. I was particularly wowed by a scene in which the two main characters walk through as the camera zooms very slowly in on them. It almost appears as if they aren’t moving at all, but the ever so slight movement of the camera captivated my attention and it was a beautiful scene. I also truly loved the use of color in the film. It’s as beautiful to look at and helps to set the mood throughout. Anton Yelchin (whom you may recognize as Star Trek’s [2009/2013] Chekov) plays his character incredibly well, and has wonderful chemistry with his co-star Bérénice Marlohe. The film provided plenty of laughs and was heartwarming overall, though it was at times melancholy as any great love story is. 5 to 7 is love story while also not being a love story, much in the way (500) Days of Summer was. I absolutely loved the journey 5 to 7 took me on and loved the uplifting ending as well. I highly recommend checking out 5 to 7 if you can see it in a theater near you. It’s also available to rent via DirecTV according to gowatchit.com, however I can’t seem to find it available anywhere else (I have DISH, or I’d definitely be watching it again! ).